Compared with the other well known international brands, Biousing cell culture products have the following Advantages. The smoothness of Biousing cell culture plates is as good as the best-selling brands. On the side wall there are three biousing brands. 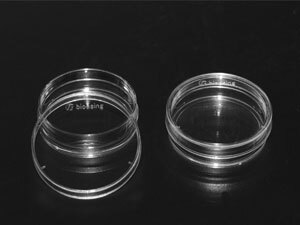 The lower part of 35mm cell culture dish is widened to make it easier for the users to h hold firmly. We offer batch per batch quality inspection reports that can be downloaded from the website for users to search. We emulate the management of pharmaceutical company to supervise the whole production process. A QA/QC system with SOPs and standard documentation management guarantees the quality of biousing products to the international standard.